Home AAdvantage Buy Up to 250k AA Miles. Good Deal? Buy Up to 250k AA Miles. Good Deal? All credit card offers in this post have expired, but they might come back. If they do they will appear –> Click here for the top current credit card sign up bonuses. American Airlines and US Airways are both running sales on the purchase of their miles through January 2, 2015. From the credit cards, you could have 103,000 American Airlines miles next year. From the mileage sales, you could add another 250,000 miles. But is buying the 250k miles a good deal? Both sales are identical and offer up to 45,000 bonus miles when you buy up to 80,000 miles. Both sales end January 2, 2015. Buying 80,000 miles with a 45,000 mile bonus (125,000 total miles) offers the best deal. The price of $2,572 for 125,000 miles works out to 2.06 cents per mile. You can buy 125,000 of each type of miles. In the good old days, you could buy US Airways miles for 1.88 cents, so this is an increase of almost 10%. I value US Airways miles around 1.9 cents each and American Airlines miles at around 1.8 cents each, so there is no way I would buy these miles speculatively for 2.06 cents. The only way it could possibly make sense to buy miles at these prices is if you had an immediate high value use for them. You can buy 250,000 American Airlines and US Airways miles that will combine into your American Airlines account next year for $5,144 or 2.06 cents each. That’s way too high to buy speculatively. Hopefully cheaper sales come along. 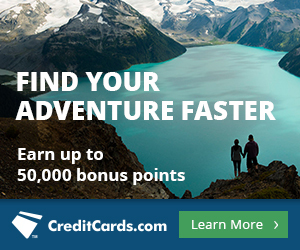 These sales are processed by points.com, so you won’t get bonus points from any of your cards with category bonuses. 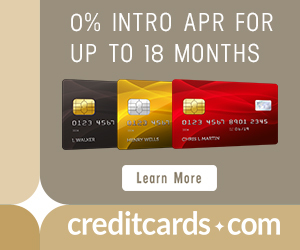 In the meantime, we can pick up 93,000 American Airlines and US Airways miles from the big bonuses on their credit cards. I got the AA Card just Approved YES I used your link SCOTT ..I don’t know who’s Dumber or In saner the banks or me .More Trips to my cave hope it’s a EMV card. any ideas about the lack of sAAver space please? @Gene, I agree. Searches that for me usually find abundant availability at the sAAver level have lately been a black hole. Is this a massive unannounced devaluation or a temporary technical issue? I sure wouldn’t invest any money in acquiring AA miles until I know I’ll be able to use them. I’ve yet to read a single post from yourself or other award bloggers who rated mileage purchases as a good deal. In general, I skip down to the last line and read that it’s not a good deal (unless you have an obvious immediate need to top off miles). Perhaps you could make such posts a little briefer and save yourself the time of writing them. No airline in their right mind will ever make mileage purchases a good deal unless they’ve got a bad cash flow problem and then you wouldn’t want to buy them anyways! Mileage purchases were a great deal when US Airways offered them for 1.13 cents each once a year. LifeMiles one day sale the other day was a good deal, but I didn’t cover it in time.